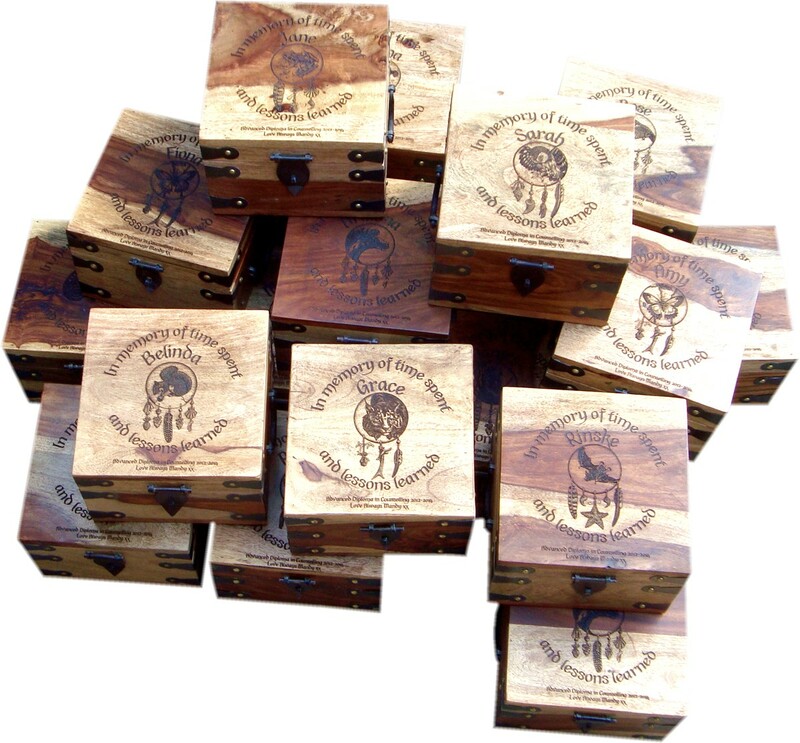 These boxes are made from sturdy sheesham boards and have a lovely solid rustic appearance. They have antiqued banding that is blued and distressed on the corners attached with brass pins to add to that authentic look. 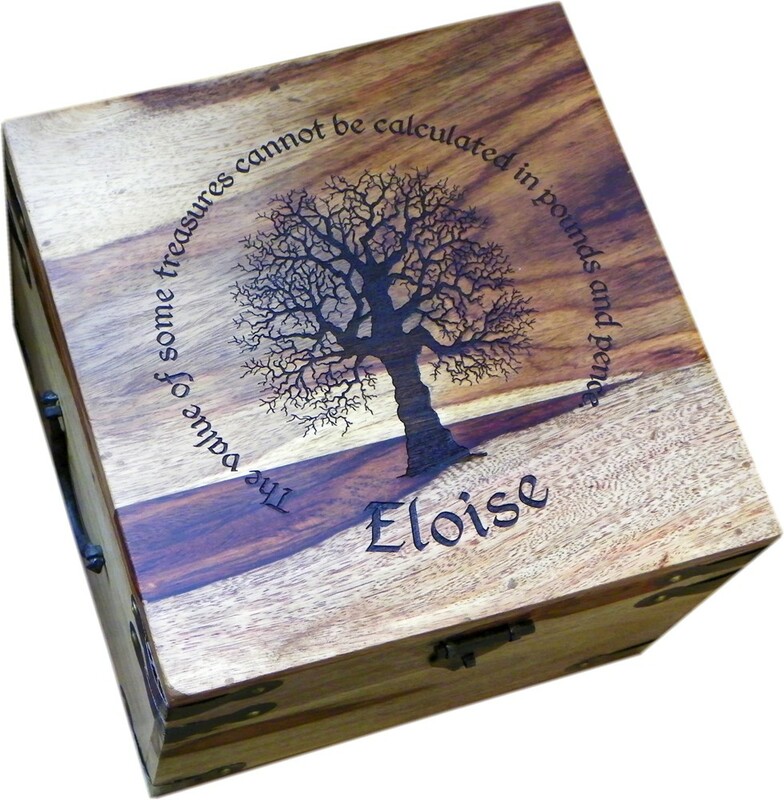 These are very popular as personalised Wedding keepsake boxes as well as a lovely gift for a newborn baby, or a special birthday present. They can be personalised with whatever you want. We have a large range of graphics to choose from, or why not send us one of your own? (black and white only, and preferably in a jpg format) They are available in three sizes and all contain a mixture of wood colours. 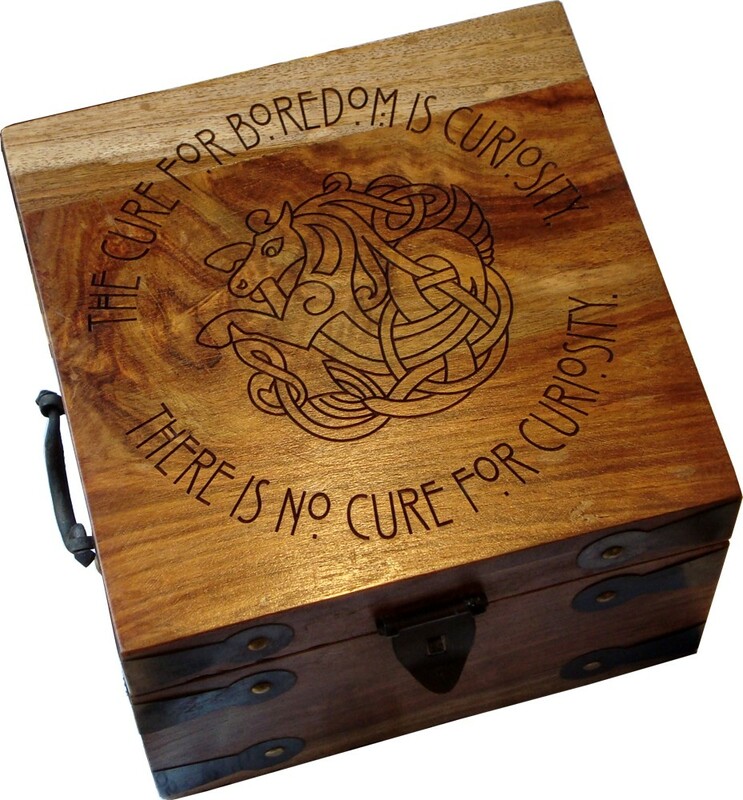 They are all individually engraved to your requirements. 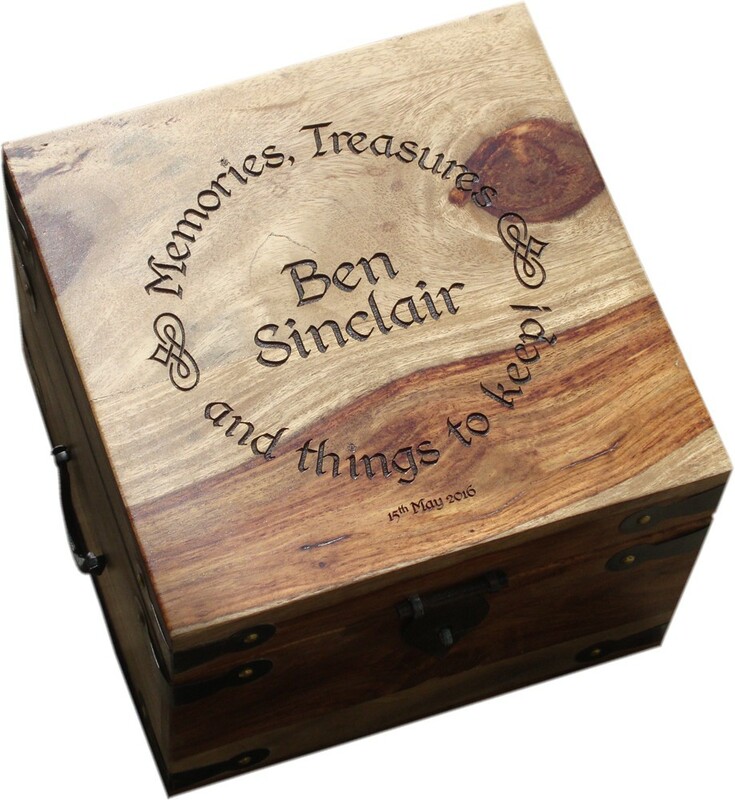 A perfect present for someone to store their memories and keepsakes in.